Hi there! 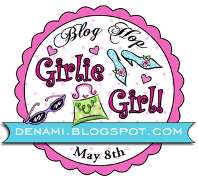 If you are hoppin' in the DeNami Girlie Girl Blog Hop, you should have arrived here from Chrissie Tobas' blog. This is the third DeNami Design Blog Hop that I've participated in. I love to do them! The DeNami stamps are so sweet and I happen to own a couple of real cuties. Today I am using a more elegant, feminine stamp called Love Script Heart. The card began with a piece of pink, cream and brown patterned paper from My Mind's Eye La Paperie. I sponged Antique Linen Distress Ink around most edges, then stamped the Love Script Heart in Chocolate Chip on the paper. Pink and cream pearls were added here and there, to put in some much-needed bling. This is, after all, a girlie-girl card! Pink, polka-dotted ribbon is the final touch before mounting the piece onto Chocolate Chip cardstock, then the white base. When: The blog hop starts on May 8 at 6 AM, PST. However, you have until May 9, 2011, 11:59 pm PST, to leave comments on all the blogs (to be eligible for a prize). Why: To be inspired by beautiful girlie creations featuring DeNami Design stamps and also the chance to win mini shopping sprees on the DeNami Design website! Next up in the Hop: Dana Seymour! 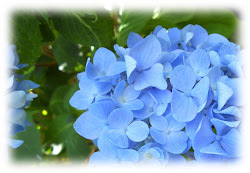 You can also go to the DeNami Design blog to start from the beginning. Colleen, this is the perfect girlie stamp and card! What a great choice!! Your card is STUNNINGLY girlie!! The DP is so beautiful! Elegant and soft! The pearls are perfect too. Hope you are enjoying Mother's Day! So elegant! I love, love, love it! Very pretty-I love the look of stamping direct to the dp. Pretty colors. So pretty. I like the pinks! This card is sooo stylish Colleen. I love your pink and brown combo with the ink and the paper and those pearls just add the finishing touch. I really like that the distress ink looks like it is inked around in a heart shape - nice effect to make the stamp pop! Oh my, this is one beautiful creation. The addition of the pearls is a perfect touch. So pretty in pink - love those pearls! Wonderfully done, Colleen. Great heart image and fabulous use of the DP with it. Happy Mother's Day, my friend!!! This is definitely a little work of heart - I mean art! That paper is just gorgeous and I loved how you stamped on it with the brown. Love the dotted ribbon - sort of picks up on the pearls in my thinking. Love the little pink pearls in the "o" in LOVE here and there! Sort of makes me hungry for Neopolitan ice cream though! Beautiful card, Colleen. Happy Mother's Day to you! Fabulous way to use this heart stamp!! Love the dp too. Scrumptous card! This is such a stunning card - I can see it as a formal Valentine or lovely wedding card. Gorgeous! This is lovely! Great stamp choice! That card is pretty in pink! It is just perfect. A really feminine and lovely collage card! I really like the way you placed the pearls and the dotted swiss ribbon is perfect!! Very feminine indeed! I love all the pearls you added to the hearts and how they compliment the dots in your ribbon. So so pretty Miss Colleen!! This is such a beautiful card, I love it! Wow! This is so pretty! I love the heart! Aha! A perfect place for those pearls! I love this stamp and the paper and distressing! A beautiful card my friend! I hope you had a wonderful Mother's Day! Love the inking! The pearls and the ribbon is a perfect addition to this beautiful card! Oh Colleen, I love how you paired this elegant DeNami stamp with pattern paper! It's gorgeous! What a sweet girlie card, Colleen! I love how you accented that elegant heart with lots of bling. Great take on the hop theme! You never disappoint! I love having you on my team over at The Play Date Cafe and this is why! Your design work is beautiful! OMG this is beautiful!! It is very "girly"
A Queen's card! Girly girl paper, hearts, pearls, dotted swiss ribbon, oh my. Absolutely jaw dropping gorgeous. PERFECT. This is a beautiful card and wonderful use of patterned paper. The pearls make the card. Thanks for sharing your creation. Very pretty card. I love the colors and pearls. So elegant. I love the elegance of this pretty card. really nice card , and the stamps is fabulous! This card is gorgeous, Colleen! I love all of the cream and pink pearls you added to this card- they are so stunning! 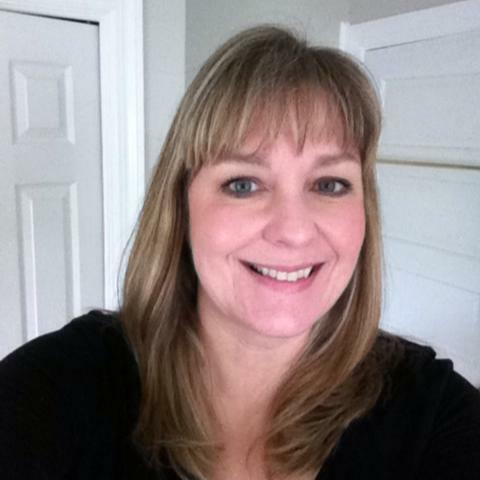 I'm so happy you were able to join us for the Girlie Girl Blog Hop! I love this card, it's so elegant and feminine, so pretty! I've always loved that stamp Colleen, such a pretty and elegant card! Love the added pearls, so classy! Like you my dear!! This card is so elegant and feminine. You did an amazing job. Wow!!! This is so very beautiful Colleen! I love how you stamped the image on top of patterned paper--it's such an elegant look! Nice work! This is so pretty and feminine! Love the softness of the design and all the pearls. The Love Script Heart looks so GORGEOUS stamped on that patterned paper!!! And I LOVE the touches of pearls----so girlie and pretty!!!! Great distressed look and loaded with pearls and dotted ribbon. Sweet! This is so pretty Colleen! Love the softness and the pretty pearls!